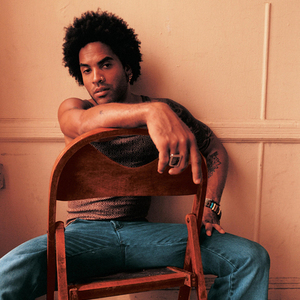 Leonard Albert "Lenny" Kravitz (born May 26, 1964. New York, USA) is an american singer-songwriter, record producer, and guitarist whose retro amalgam of rock, pop, funk, and even techno is inspired by such music icons as David Bowie Jimi Hendrix and John Lennon. Like Prince and Sly Stone before him, Kravitz uses a multi-ethnic, mixed-gender backing band. Kravitz plays guitar, bass, drums, keyboards, percussion, and sitar. He often plays these instruments on each recorded track, but frequently collaborates with other musicians as well when recording. Kravitz plays guitar, bass, drums, keyboards, percussion, and sitar. He often plays these instruments on each recorded track, but frequently collaborates with other musicians as well when recording. His 1989 debut album Let Love Rule was a moderate success. In 1991 he released his second album, Mama Said, which reached the top 40 of the Billboard album charts. In 1993, the album Are You Gonna Go My Way was released, reaching #12 on the Billboard 200 and Kravitz earned a Brit Award for best international male artist in 1994. He released the Circus album in 1995, which reached number 10 on the Billboard chart on the back of his past achievement. With 5 (1999), Kravitz embraced digital technology such as Pro Tools and samplers for the first time. He would win the first of his four consecutive Grammy for Best Male Rock Vocal Performance at the Grammy Awards of 1999. His cover version of The Guess Who's hit "American Woman" won him another Grammy for Best Male Rock Vocal Performance at the Grammy Awards of 2000. Kravitz released a Greatest Hits compilation in 2000. It proved to be his most successful album. The single "Again" would earn him his third consecutive Grammy for the Best Male Rock Vocal in the Grammy Awards of 2001. Kravitz released his sixth album Lenny in October 2001. He won his fourth consecutive Grammy for Best Male Rock Vocal at the Grammy Awards of 2002. Kravitz's seventh album Baptism was released in May 2004. His album, It Is Time For A Love Revolution was released in 2008. He has always edited his albums on Virgin Records America. The lead single from Kravitz's ninth album, Black And White America, "Stand" was released on June 3, 2011. (Stand Songfacts). He is the son of Ukrainian-Jewish American NBC television news producer Sy Kravitz, and Bahamian American actress Roxie Roker, best known as her character Helen Willis on the hit 1970s television sitcom The Jeffersons. Black And White America's title track is an autobiographical look back at his upbringing in New York. (Black and White America Songfacts).